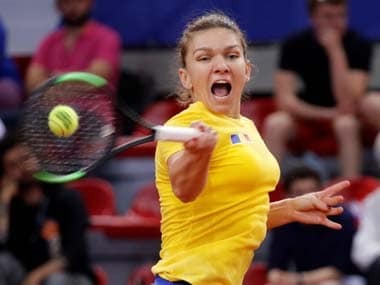 Melbourne: World No 1 Simona Halep eased into the quarter-finals of the Australian Open Monday with a 6-3, 6-2 victory over unseeded Naomi Osaka of Japan in 81 minutes. 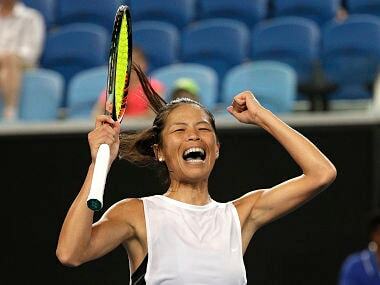 "I'm really happy that I'm back in the quarter-finals," said the Romanian, who last made it this far in 2015 and has been nursing a troublesome ankle that she rolled in her first-round match. "The injury is still there. I feel it but I'm trying not to think about it and give it everything." Halep was delighted to be on court for 143 minutes less than her previous match against Lauren Davis, which at 3 hours and 44 minutes was the longest of the tournament. "Actually, this tournament looks like a marathon for me," she said, after spending almost nine hours on court so far, more than any other player. "I'm really proud I could stay focused and make every point very focused and concentrated." The big-hitting Osaka had her chances, notably in the fifth game of the first set when she squandered five points to break the Halep serve. The Romanian compounded Osaka's disappointment immediately with a break of her own. She served out to take the set in 42 minutes and immediately broke the Japanese player again to start the second. The players matched each other with 22 winners apiece but Osaka's 31 unforced errors ultimately proved her downfall against the consistent Halep. The top seed is guaranteed to meet a Czech opponent for a place in the semi-finals, either sixth seed Karolina Pliskova or Barbora Strycova, the 20th seed, who play later.